Everyone was looking forward to celebrate the end of summer. 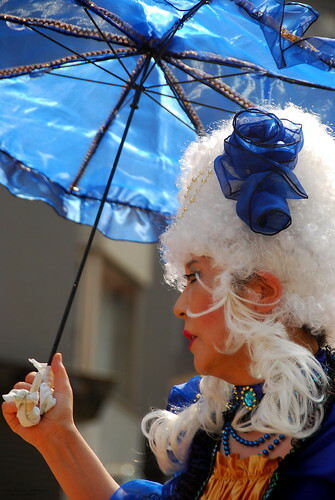 Thousands trooped to Asakusa, Tokyo, Japan to witness the flow of colors and downpour of angel-like dancers, not minding the would-be effect of the scorching sun. That spotlight from the sky may be relentless but the Latin beats, the liveliness of the performers and the applause of the spectators were enough to overpower it. Before the parade started, cameras of all sizes and brands were everywhere! I brought two, by the way. Event like this is a photographer’s fancy. 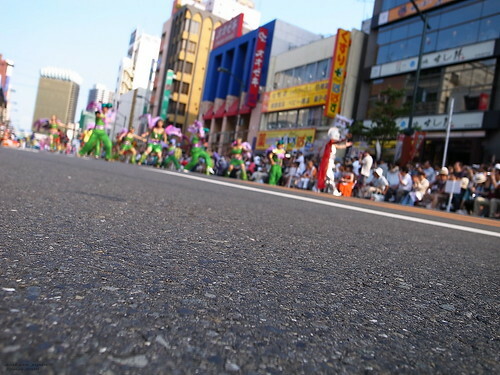 Last year, I was able to experience this street spectacular too. If you are curious enough, here’s my last year’s blog. The big difference was the weather, last year it rained midway of the celebration forcing us to retreat from our positions. We loved our cameras, you know. This year, the weather was fine but it was too hot to handle. We surrendered and found ourselves craving for ice-cold colas. Most of the participant from last year still took time to join the fun this year. If there were few familiar faces, lots were rookies to my naked eye. Or maybe they were veterans but I missed them last year. Actually not only the dancers were new to me, but also other Filipino hobbyists who are currently staying in Japan. It was nice meeting each one of you and special thanks for the seat reservations, LOL! One of the surprises of the festival is this child (see photo below). 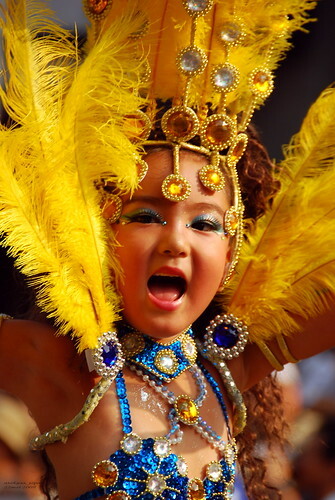 Donned in samba costume, she danced like a professional and as if she was already grown-up. Not sure if it’s a bad thing or not. But definitely she has the talent. And if there were from younger generations, the not-so-young ones were well-represented too. Hats off! For more than 5 hours, we stayed under the sun and from time to time, we stretched our legs to check if we are still alive or totally numb. During these times, displays of colorful and sparkling costumes, from conservative to revealing ones were visual feasts. The hurried steps and the continuous dancing posed a challenge to each one us too, resulted to hundred of blurry shots. 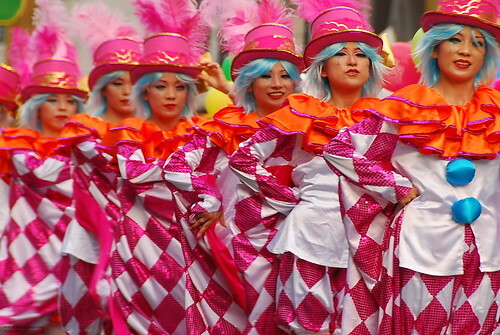 The festivities seemed unending as it continuously blinded us with vibrant colors. The streets were carpets of rainbows. 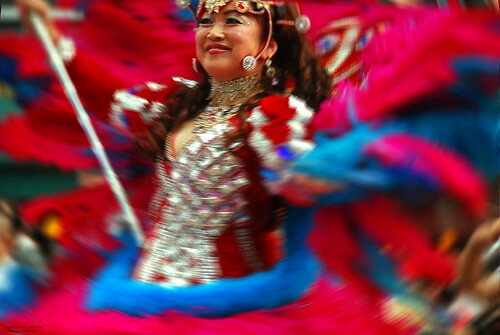 Samba, like any other dances, is a poetry in motion. It doesn't need any words or syllables to convey its feelings and intent. The beat is its rhyme. What a way to end the summer season! Too bad though that the current typhoon just took that distinction. Am I looking forward for next year's celebration? It depends, if I am still here. Haha! thanks kit. bakasyon ka pa din? So many beautiful, voluptuous women, and so much energy! Hi Sandy, those you mention were the reasons why we were able to survive the heat, LOL! Now this I've got to see! Hi Stan, is there a similar event like this in Thailand? Same-same...but different. You've heard of Ka-toeys? - Lady Boys? @Stan, i heard about them but its on a show or something like that. um...wow. the little girl one kind of creeped me out. There is similar here in the states though. children in beauty pageants. Makes me worry for the world.